Seredipitously, I was offered a job within three weeks of moving to New York! 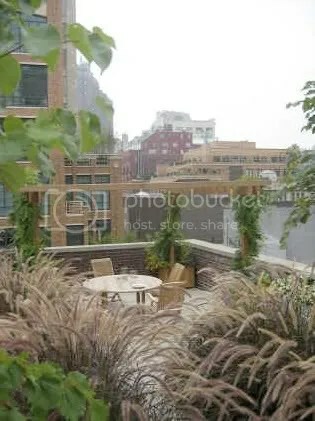 I’m working at a landscape design-build company, which specializes in rooftop gardens and is expanding its green roof projects. The photo here is an example of a garden we designed and installed. In many ways I am feeling very “new”. I’m (re)learning a lot and remembering that there are people who are not community organizers and don’t necessarily think like community organizers. The days pass by very quickly, and there is barely time to even think about blogging. I’m (re)learning how to travel all over again. Walking is wonderful, though I need better shoes. Most notably, I’m enjoying every moment of public transportation, which is so very much needed in Detroit, even when my train breaks down and I have take three extra trains to get to work. I was very saddened to hear the news that Rob Cedar passed on Monday, March 4, 2007. I briefly worked with Rob during the last stages of the campaign to shut down the Hamtramck medical waste incinerator in 2005. Rob was a very kind, gentle person, and a dedicated environmental justice advocate. He helped organize the Hamtramck Environmental Action Team (HEAT) and served on city council. Like many unnamed local community activists, Rob’s work is what maintains and strengthens the integrity of our communities. May he rest in peace. 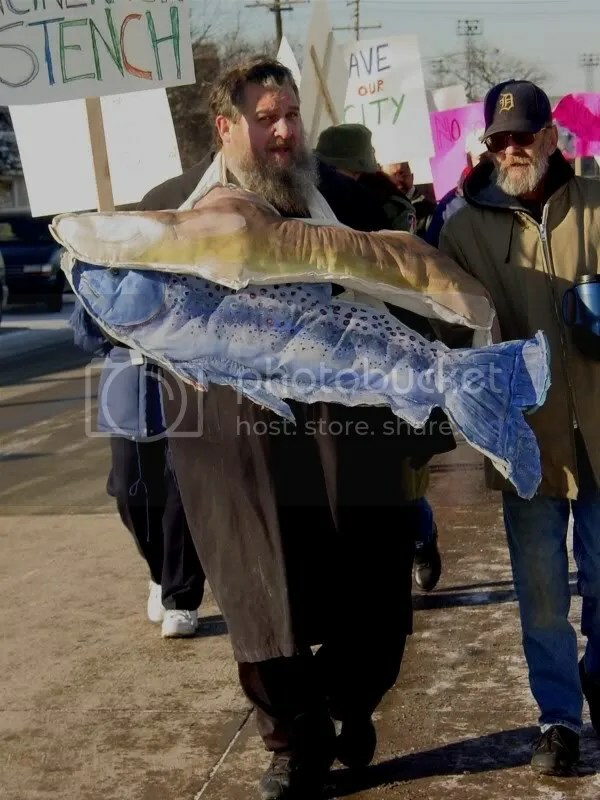 Rob at a demonstration to shut the Hamtramck medical waste incinerator. Photo by ACCESS.